Funded by taxation, public spending cannot be separated from politics and ensuring efficiency and effectiveness is always high on the political and policy agenda. Accounting, accountability, governance and auditing are essential ingredients in evaluating public sector performance. Australia and New Zealand are world leaders when it comes to public sector accounting—such as being the first to introduce transaction-neutral accounting standards. 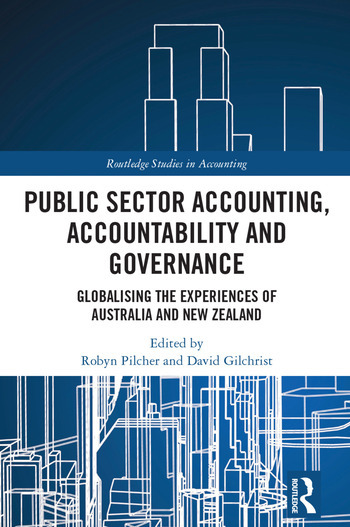 This edited collection considers current issues impacting the public sector by primarily drawing upon experiences of Australia and New Zealand. Then, by combining history (from the time of the Domesday book, early sovereignty and Shakespeare) with current practice (differential reporting, international financial reporting standards, government performance, voter turnout, joined-up government and auditing practices), we use these experiences to illuminate the global issues of public sector accounting, accountability and governance. Based on rigorous research by top public sector researchers, this edited collection offers a multitude of future research ideas to enable those interested in following this pathway—whether they are in Australia, New Zealand, the United Kingdom, Europe, the United States of America, Africa or anywhere else in the world—an avenue to traverse. 2 Differential reporting: what does it really mean for the public sector? Robyn Pilcher PhD (USyd), FCPA, FIPA, CMA is an Adjunct Associate Professor at Curtin University, Western Australia. Having worked in both academia and as a CPA, Robyn was an academic for over thirty years. She has published both locally and internationally with her research interests centred around public sector accounting, accountability and governance. Robyn also served for several years as a public sector expert with the Institute of Public Accountant's Public Sector Faculty advising on policy to government and the Australian Accounting Standards Board. David Gilchrist is a Professor at the University of Western Australia, a chartered accountant and an economic historian. He has held senior roles in the public sector, not-for-profit sector and in commerce. Prior to becoming an academic, David held the role of Assistant Auditor-General in Western Australia and is currently a member of the Australian Charities and Not-for-profits Commission Advisory Board. David has published academically and as a journalist across a number of areas including public sector governance and the public sector/not-for-profit nexus.